Start counting your votes . . . and your friends. 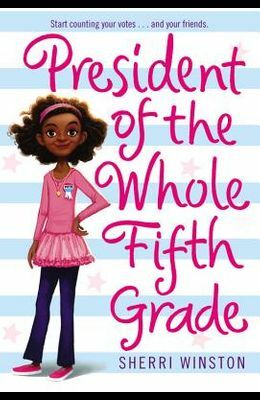 When Brianna Justice's hero, the famous celebrity chef Miss Delicious, speaks at her school and traces her own success back to being president of her fifth grade class, Brianna determines she must do the same. She just knows that becoming president of her class is the first step toward her own cupcake-baking empire But when new student Jasmine Moon announces she is also running for president, Brianna learns that she may have more competition than she expected. Will Brianna be able to stick to her plan of working with her friends to win the election fairly? Or will she jump at the opportunity to steal votes from Jasmine by revealing an embarrassing secret? This hilarious, heartfelt novel will appeal to any reader with big dreams, and the determination to achieve them.